The Champion: We post this pic all the time and NEVER tire of it! 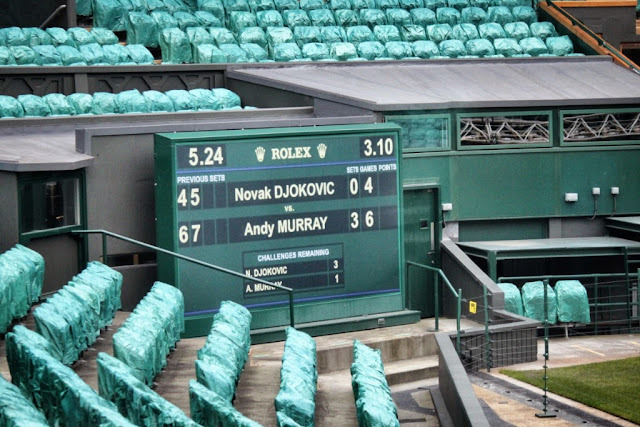 'mon Andy! And congrats on the Davis Cup! 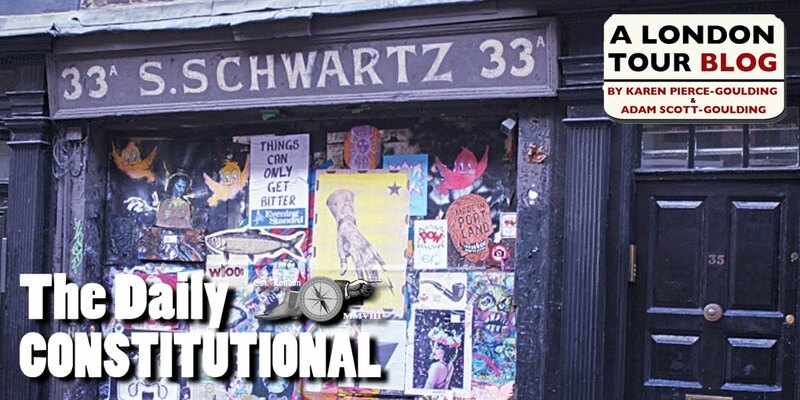 The Walking Tour Guide: The Daily Constitutional's Editor! Last night I saw the best gloves ever on the Ghosts of the Old City Walk – I spend a lot of time outside in the winter leading London Walks and tend to get pretty excited about this kinda thing. I immediately went home to buy a pair. Am I Canadian? Nope. But are they not the coolest gloves of all time? If you have to ask, you didn't look at the picture! Sadly, the gloves are not currently available in the UK. But if you are in Canada, you can buy 'em from The Hudson's Bay Company and all the profits go toward the Canadian Winter Olympic team. 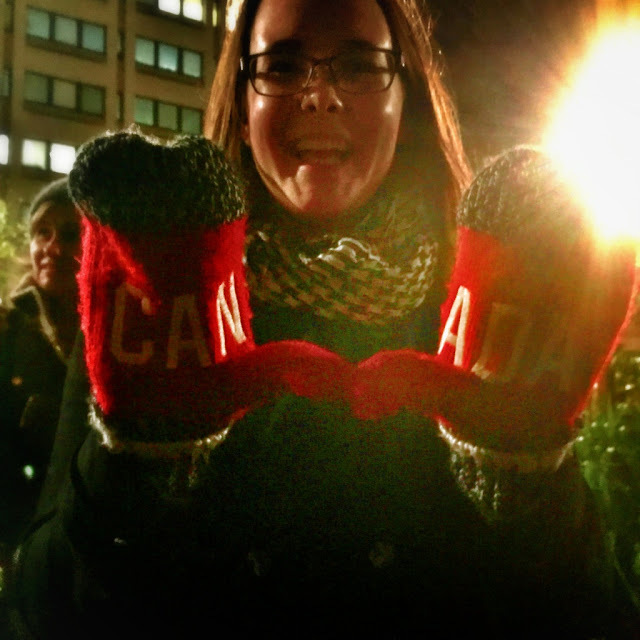 That's how much I love these gloves: I was even prepared to undermine British Winter Olympians to get a pair. Which is a big deal when you consider that I am a Scot and the stars of the British Winter Olympic Team are my countrywomen and men of the excellent curling team. Dear Hudson's Bay Co – are you planning to ship to the UK anytime soon? 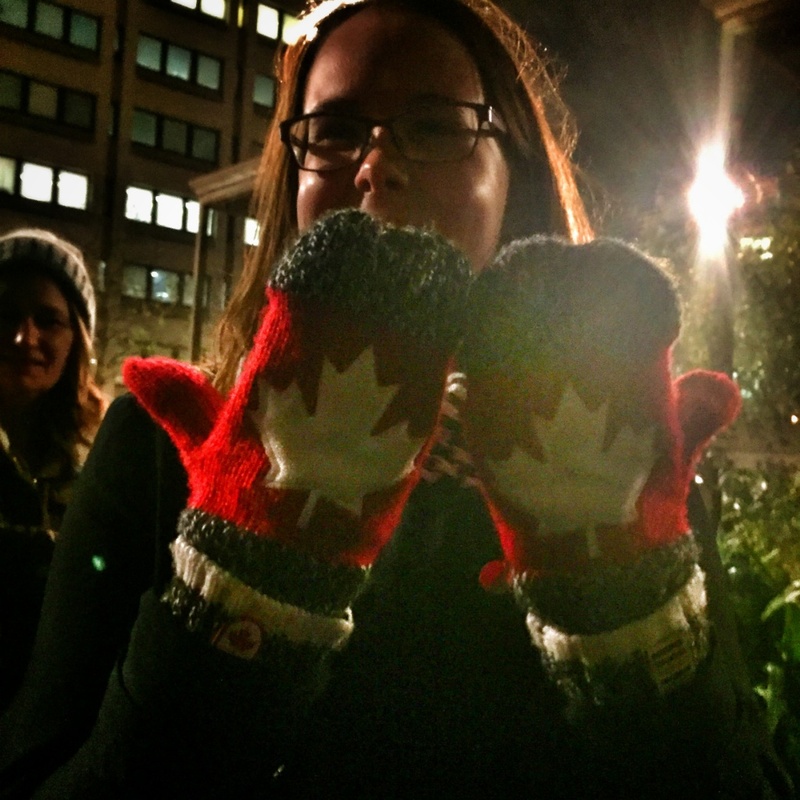 I've got a long winter of London Walks ahead and these mittens would be the very dab*. 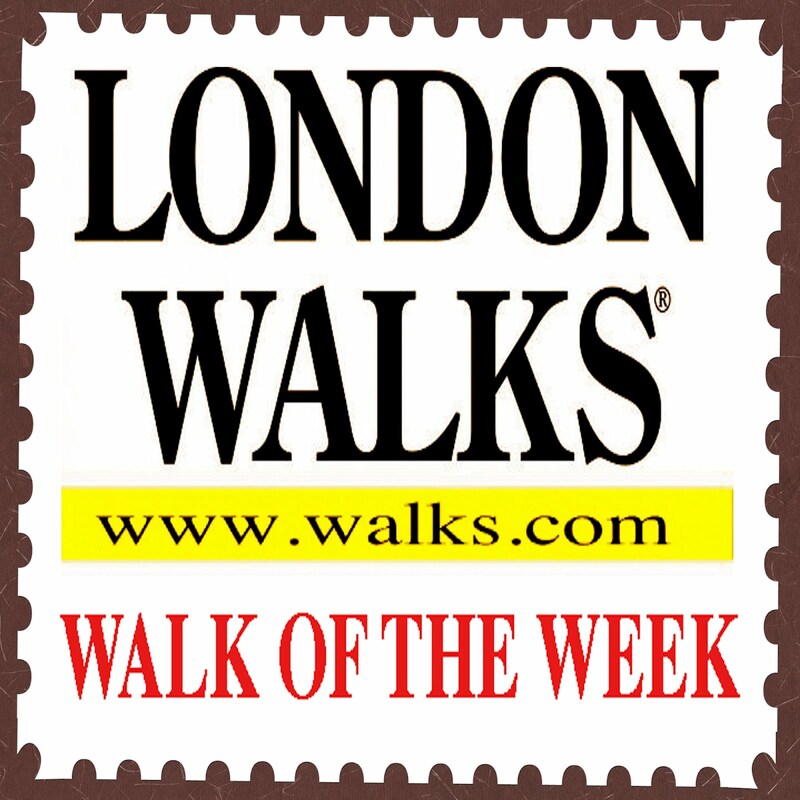 P.S If you can recommend an equally dapper pair of gloves or mitts, give us a shout at the usual address, or via Twitter @londonwalks or leave a comment below. All the delights and delicacies of a London Victorian Christmas with Charles Dickens's famous story A Christmas Carol as your route map and inspiration. We'll deck the streets of London with balls of jolly. Scrooge and Marley and the Cratchits... they're all here. This was where Dickens's imagination took wing and where the characters did their thing. And as we make their acquaintance we'll spice things with warming seasonal stories of turkeys and boars" heads, Christmas puds, mince pies and pantomimes; cards, crackers, Christmas trees and mistletoe. Let alone the bells that rang out on Christmas morning to wake Scrooge up – a much changed character. To go on the Charles Dickens's Christmas Carol & Seasonal Traditions walk meet just outside the exit of Tower Hill Tube at the appointed hour and date. The "Latecomers Catch-up Stop" is in Trinity Gardens. The walk ends near St. Paul's Tube. NEW. 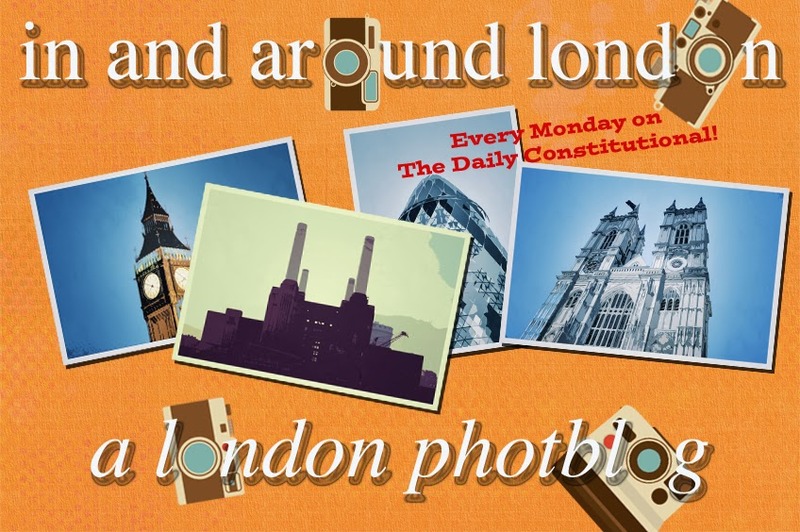 Coming soon from London Walks – IN FOCUS. The In Focus walks are intense studies of one small area – each walk an depth analysis of one street or square. 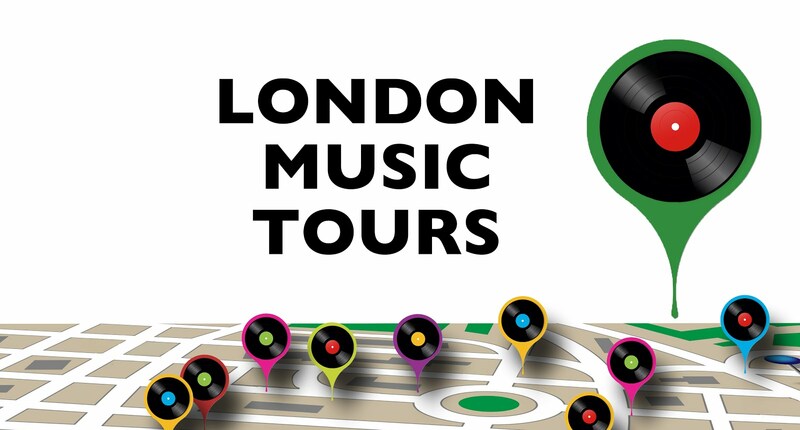 It all begins in Westminster Square on Sunday 3rd January 2016 Westminster tube (Exit 4 10:45a.m). 1. Think of a book. A closed book. The title of the book is Parliament Square. We’ve all seen that book lying there a million times. Know its cover. Know its title: Parliament Square. Have a vague idea what’s in it. But we’ve never bothered to open it. To read it. We can sense – but only sense – from that first perfect image in Patterson’s sonnet the power of the wave. How far down it reaches – its great depths. How far it’s come. How much has gone into it. How much is there. Where it’s going and what might be wrought when it finally gets there, comes ashore, reveals its full self, its full might. Apt images – both of them – for Parliament Square. There’s a whole book to be read there. There’s much there and it runs very deep. 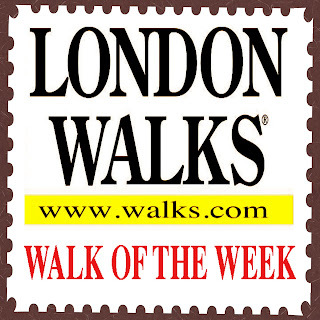 This walk – the first in a series of In Focus walks – opens up the book called Parliament Square. Reads it. Let’s us see the works – the fullness, the plenitude, the sweep and power – of the wheel under the skin. So, an example or two of the kind of thing Sandy will be doing in Parliament Square. First, for a teaser, how about “shockingly lax sexual morals” and 24 stars and a garter and being crushed to death by a statue and the first truly dramatized roof-scape in Victorian London and Laurence Olivier’s hands and the single most important moment in the 20th century and a rare glimpse of the interior of the old pre-fire House of Commons and a nuclear war bomb shelter and an arrow in the face and tertiary syphilis and flocks of tailors and God’s assassin and a portable flogging and beheading kit and a hat under an arm and a famous all-purpose short sword and an abandon hope all ye who enter here gateway and the greatest pornographer who ever dipped his quill in the well and… well, you get the idea. Do you seriously think you know Parliament Square? But teasers can be maddening. Especially for those who’d love to go on a walk but can’t make it. So also by way of illustration, let’s “read” – closely read – just one “paragraph” in the book called Parliament Square. 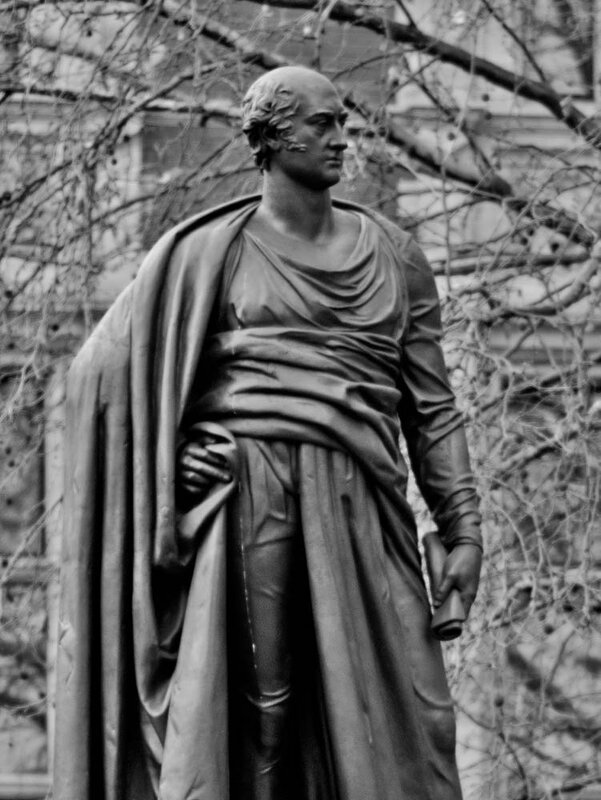 That “paragraph” is the statue of Prime Minister George Canning. Some walkers will have heard of him. Others won’t. 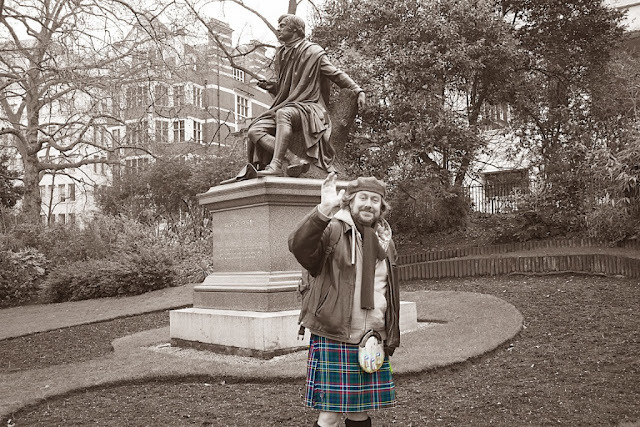 Virtually no one – apart from London Walks guides – will have paid the statue any heed. It richly repays the paying of that heed. You’ll never look at it again the same way. You’ll never not see it again. After going on this walk it’ll be SNAP! FOCUS!! LOCK!!! every time you pass it. Indeed, chances are it’ll be more than really seeing it, properly seeing it – chances are you’ll even squirm at the thought of having it fall on you, crush you, kill you. Whereas for everybody else – the tens of thousands of people who go to Parliament Square every day – the statue’s just a blur (if they see it at all). The blur of their ignorance. I know whose “experience” of the statue I’d rather have. What you’ll “see” – by the time Sandy’s through with you – is that terrible moment in sculptor Sir Richard Westmacott’s studio in Pimlico when the statue collapsed, crushing to death his assistant, Vincent Gahagan. His widow – she was Gahagan’s third wife – was left with six step-children and little means of support. You’ll see and hear that statue coming down when you consider her application for assistance to the Artists’ Benevolent Fund. See and hear it coming down in her stark description set out on that application: how her husband was ‘Frightfully destroyed at Pimlico by the falling of the statue of George Canning while working on the statue’. For the record, Gahagan’s first wife died in childbirth. The Gahagan bio – what we know of it – is a core sample of just how harrowing Victorian times could be. What else? Well, you’ll see Canning’s garb. Classical garb. Westmacott did him dressed like a Roman senator. You’ll see the scroll in his left hand. And Canning will come out of the mists for another reason. Because of an extraordinary connection Sandy will make. A light switch she’ll throw. Canning’s position had invaluable backing from another quarter “over there.” U.S. President Monroe declared that meddling by European powers would no longer be tolerated on his side of the Atlantic. That henceforth America was for the Americans. Voilà the Monroe Doctrine, a key suite in the historical furnishing of every educated American mind. That “forgotten” British Prime Minister you’re looking at there in Parliament Square helped to carpenter that suite. Final thought about In Focus walks generally. They’ve been a long time a-coming – been like a wave forming and building, a wheel under the skin – to the London Walks programme. All things considered they’re practically a tectonic shift for us. Something has finally broken free. Moved. Which is by way of saying, famously we – London Walks – do untrodden paths, quaint little back streets and hidden courtyards. That’s always been our specialty. We want to get off main drags, get away from the London equivalent of Times Square and the Champs-Élysées. We want to nook and cranny London. Take people into the little backstreets they’d never find off their own bat. That’s not to say we didn’t know about Parliament Square and Whitehall and Trafalgar Square (the three In Focus walks that will debut the series). We of course knew about them. Knew full well that in many ways they’re the most nutrient-rich tesserae of London terrain. We just didn’t think fine-tooth combing a place like Parliament Square was really us. We had enough to be getting on with in the back forty patches we’d staked out as our turf. And there was one other thing. We had to bring our market – our community – along. Get our following, our walkers, ready for this. It wasn’t that London Walks – “walks for grownups” – was going to stop doing what we’ve excelled at for half a century. It was that we were going to add to the programme a strand that was counter-intuitive to the London Walks ethos. So counter-intuitive that we felt our market – our following – had to ripen. Be ready for this step, these steps. Our sixth sense is telling us that that time has come. That we’ll get some takers for walks that look extremely closely at the likes of Parliament Square (and Whitehall and Trafalgar Square and… well, there’s lots more in the pipeline).